The Flamboyant Introvert: Item 12; in which abortion is NOT an matter of the right to life, & NOT a women's rights issue. Item 12; in which abortion is NOT an matter of the right to life, & NOT a women's rights issue. [Looking at it objectively, I have to say that the conservative right is wrong on this issue - but they are wrong for the right reason. The left is right, but just by lucky coincidence. They are right for the wrong reason. Now, you might think that as long as they get it right, that's all that matters - but you would be wrong. Why the hell is it so hard for both sides (of the abortion issue) to see that it is NOT a question of morality, and it is NOT a question of women's rights? At what point can you consider something human? That is the issue. And there is no "right" answer. If a single cell which COULD become a person is human, then every month every non-pregnant woman is letting a potential person die, and every woman with a miscarriage is guilty of involuntary manslaughter. 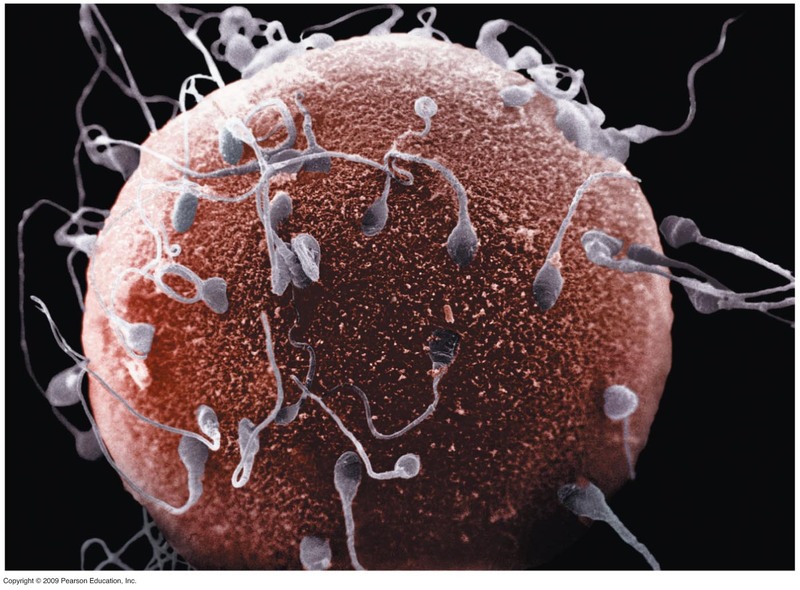 The second before conception there is one microscopic cell with some DNA in it. The second after there is... one microscopic cell with slightly more DNA in it. It has no brain, no feelings, no desires, it could not grow outside of it's mother, it is not an independent entity. It is no more a "human" than a severed arm is. It is a POTENTIAL human. [This seems so obvious to the pro-choice side that they assume that everyone who disagrees with them on abortion must be deliberately lying when they say they believe a zygot is a human. But step outside yourself and your assumptions for a minute. Try to imagine that you were raised your whole life to believe that God - a giant white guy in a robe who lives in the sky and created the Earth and takes care of us - is personally responsible for creating consciousness, and that by virtue of being made in His image, we are spiritually divine in a way no other animal is. When we "die", we live on as our soul ascends to heaven (if we are lucky). Is believing this stuff really stupid? Sure it is. But that fact is that for the majority of human history, the majority of cultures have believed something equivalent, and most of American's believe something along those lines even today. These people have been told this mythology in total seriousness for their entire lives. Human children have brains primed for learning, and when you are first learning how the world works, what your parents tell you is truth. Then you go on to find that everyone around you believes the same things. Eventually it something you "know", unquestionably, deep inside. On the other hand, if it were really an issue of women's rights, and not the "unborn child's" then why shouldn't she have the right to kill it two hours before it's born, or right after it's born, or a year later? [No one argues that a woman in labor should be able to have an abortion. Right after birth, the baby is still connected to the woman by the umbilical cord. Its part of her body, so why shouldn't she still have the right to destroy it? The argument then is that at that point the baby could survive outside of her, making it a viable human. With that reasoning it should be legal to "abort" a premature baby, because they actually can not survive outside its mother on their own - they survive only because we have created technology to simulate the womb artificially. Destroying a premature baby after birth but before severing the umbilical cord would be considered abortion, not murder, because it couldn't survive on its own and it is still connected to its mother's body. That sounds ridiculous, extreme, and irrelevant, right? If we return to the framework of the true believer, an embryo has a soul. The physical body doesn't really matter very much. There is no concrete division between embryo and fetus, between pre-brain development and post-brain development. When you tell someone who believes this that abortion should be a right of a woman, because it is her body, that sounds as absurd and obviously immoral as the scenario I just described above. But then there are all the people in the middle. Not necessarily fundamentalists, but not experts in biology either. They may not have a die-hard conviction that God injects the soul at the moment of conception, but the argument they hear from the fundamentalists FEELS right. If you feel the need to have concrete answers to everything, there are only two points you can pick where something dramatic happens: at conception, and at birth. If, in fact, we could say for certain that an embryo was human, there would be no debate. Everyone would agree that abortion was wrong. On the other hand, if we could say for certain an embryo was not human, then it would be obvious that abortion is ok. The fact is, there is no one place you can draw a concrete line. This is the issue. [In reality we know that consciousness actually is a function of the brain. And the brain develops gradually over time. 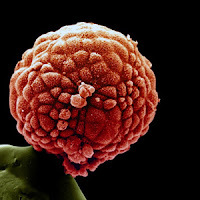 Which means that from a scientific stand point, there is no one moment that an embryo becomes human. That's what makes it so complicated. Both sides want to stand firm behind an absolute truth, because it is easier to over-simplify life and to be angry and determined than it is to look closely at a subtle and complex issue with no clear right-or-wrong answers. And because each side picks an extreme, they argue from their own stand point completely ignoring what the other side is even saying. The pro-life crowd at least gets what the issue is. That's why I say they are wrong, but for the right reason. They have the correct question. They are just wrong about the answer. The pro-choice side is focused on an argument that isn't even relevant to the debate. And since the country is pretty evenly divided, and this is a democracy, that is a very bad thing for the pro-choice movement. The right is buying ads and passing laws that bring emotional attention to the fact that an embryo could someday become human. This message is not being countered. There are billboards up stating things like: "brain formation has begun by week 5", with a picture of a cute infant beside it, but there is no message pointing out that it is barely more than a bastula at that point: only 5-10mm big, with no face, no bones, no intestines, no separate fingers, and no ability to think or feel or even react. By week 7, it's as much dinosaur as human. It literally has a tail. It could make the basis of a terrible alien creature in a movie, and if you saw one coming at you you would probably look for something to smash it with. 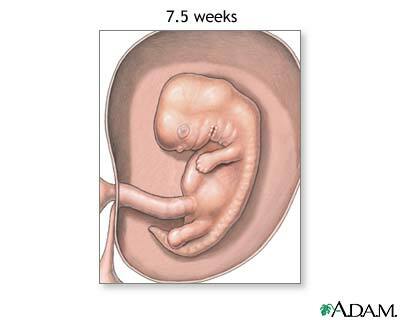 Not until week 15 does it begin to move, and not until week 22 does it have a fully distinct heart beat. The brain still has substantial developing to do as late as week 30. The image the lay person has, thanks to the pro-life movement, of as embryo is a fully formed, fully conscious, human. This is simply not the reality. That image might be appropriate for thinking about a 34 week old fetus, and that would be just fine. It would place the debate squarely around third-trimester abortion, and more subtle and complex questions around the health of the mother versus the rights of the fetus, and that would be just fine. If the debate were centered around exactly what point during the 3rd trimester it actually becomes human, there would be no threat of conservatives trying to push the law towards restricting or banning all abortions instead of just late-term abortion. It is reasonable that there should be some debate about 3rd trimester abortion, because it really isn't clear, scientifically and philosophically, whether the fetus is a legitimate human or not. Because there is no voice countering the message that an embryo is human, people who don't know any better are going to be swayed by that argument. Meanwhile, the left makes ridiculous arguments like that it is hypocritical to support the death penalty while supporting abortion (as though there couldn't possibly be a reasonable distinction between protecting innocent life and protecting all life) in order justify the forgone conclusion they have made that the opposition is actually evil and are just trying to oppress and control women. It is easier to vilify the other side, to make them into an "other", than it is to try to understand them. But the outcome of taking the easy route is predictable - you lose. And that is what we are seeing in states across the country. Personally, I still think of abortion as a woman's rights issue, and I think it should be legal for a woman to terminate up to the point that the baby is no longer inside of her. The reason is, the woman should not be forced against her will to allow the baby to live off the nutrition of her body. Once the baby is outside, someone else can volunteer to care for him or her, but not before unless the mother gives permission for the baby to be extracted from her body. It doesn't matter if the umbilical cord is still attached after birth, because the baby does not depend on it anymore. But this is probably not an argument the pro-choice movement would want to make. Hmm. Interesting perspective. Can't say that it's wrong - at least it is self-consistent and not arbitrary. Yes, this person's response is the exact reason the anti-abortion arguments anger me. If I had an unwanted pregnancy, found out very early on and decided to have an abortion, I would not want a bunch of Christians telling me that I have to use my body to grow a baby if I do not want to. (And I am pregnant right now, by choice, with my second child, and wow, pregnancy is a lot more than just providing nutrition.) Great post, Bakari. You make some very good and important points. I myself, an avid feminist and pro-choice person, have nevertheless always felt that a distinction between early and late term abortion is appropriate based on the significant difference between an embryo and a fully formed fetus, as well as based of the fact that most women have time to make the decision in the earliest trimester and should. And most do. But one thing I think you fail to consider in your analysis is the issue of the huge impact on a woman's life to have a child, and the huge impact on the life of both the woman and the child to have a seriously unwanted child, and how many woman were injuring or killing themselves with self-attempted abortions or back-alley abortions to avoid a dreaded fate of an unwanted birth. ( I myself felt suicidal when I thought I was pregnant as a completely unprepared teen.) It is that historical reality that drove the woman's movement to make abortion rights a primary issue (just as it had made contraception a primary issue previously). Still, I agree that pro-choice feminists need to take a more open-minded look at what drives the "opposition," given their numbers and their power to make things worse if some real dialog does not start taking place. And, like you pointed out, swaying people to move from their opposing position to your own position is much more likely if you use persuasive arguments likely to be relevant to them, rather than just repeating rhetoric that is failing to make your case. Something I forgot to add to my last comment is the following. The reason that the right to choose an abortion is seen as a "women's rights" or feminist issue has to do with the history of feminism. The feminist movement came about as a result of thousands of years of almost global patriarchy, during which men controlled everything including women's lives, and actually owned women and children. An old saying that continued into recent times was about men keeping "their" women "barefoot and pregnant." As scientific (and feminist) advances made birth control more effective and accessible, it was vigorously opposed by the same types of patriarchal/religious/conservative positioned people who lead the crusade against abortion rights today. Because of the nature of abortion (as delineated in your article), it raises more issues than just the right of women to control their own body and whether or not they reproduce. But the same groups of people defend or oppose abortion today as defended or opposed birth control (or women having a career or voting, etc) in times past. One other point I wish to make. It is not just the death penalty that most "pro-lifers" seem to support; it is also every war this country gets into as well as gun "rights" in general. In other words, people right of center who support the NRA, guns, war and the death penalty, are mostly anti-abortion, while people who oppose a lot of wars &/or the death penalty &/or the NRA tend to support the right to choose abortion. Of course there will be exceptions of every variety, but this is how it tends to stack up. Right, it's hard to know when it actually becomes a human. There might not even be a valid scientific line. And that's where it becomes the mother's choice. She is the only one equipped to make the call. How does that follow? It *might* not be a valid scientific line, therefor the mother is "equipped to make the call"? What is she equipped with? A woman's intuition? The collective wisdom of all of science and philosophy of all of human history has not been able to come up with a definite answer. Millions of mother's and potential mother's in that situation have made *different* calls. The fact that a given individual makes a particular decision (say, for example, ok to terminate at 20th week, but not the 21st) does not necessarily mean it was the "right" answer. It can not possibly be, because the person who chooses to abort at 36 weeks and the person who thinks its wrong after 1 week can't possibly both be right. Both people are "equipped" the same, yet they make different calls.